Specialised Air Motors & Transmission (TONSON AUSTRALIA) announces the release of a new line of weld on hubs to their extensive range of shaft fixings. With the latest addition, TONSON Australia (SAMT) has become a complete one stop shop for all power transmission products and bearings. 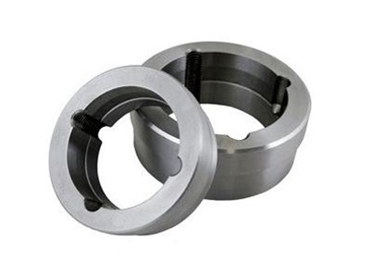 Designed to suit most taper bushes, the weld on hubs are commonly used on conveyor drums and may also be welded to plate sprockets to make taper bored sprockets in house. Key features include a permanent and secure mounting system; extended range versions with welding relief; and all steel construction with precision machined surfaces for welding. TONSON Australia (SAMT) is a one stop shop for specialised solutions for all belting and power transmission products. Machining services are available for all transmission products. TONSON Australia (SAMT) offers a complete range of Vee and timing pulleys, bearings, sprockets, chains, couplings, belts, shaft fixings, torque limiters, clutches, brakes and screw jacks for use in all major industries.